8.1 has been out for a while and it’s time to start writing up some guides on the new profession recipes, starting with blacksmithing. I’ve been crafting the new item level 340 blacksmithing gear for a while, with great success. 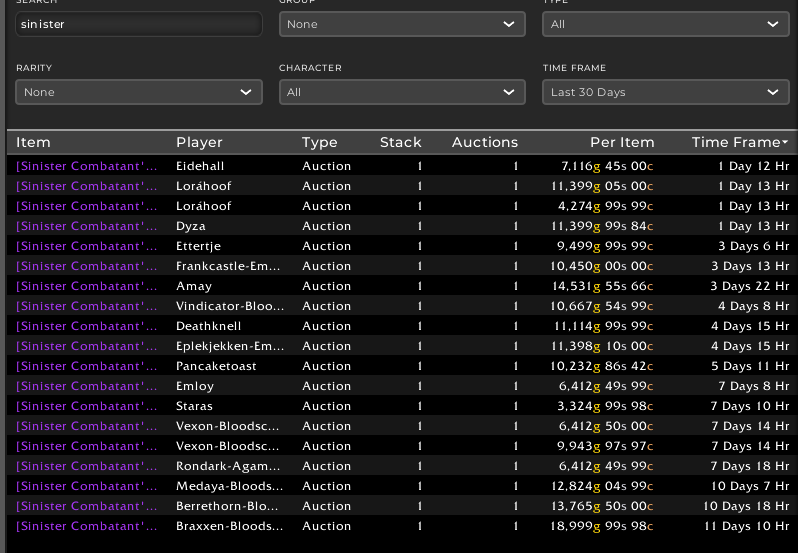 As you can see I have sold a decent number of blacksmithing pieces since 8.1 The price is holding steady at a pretty nice level for the most part with pieces still selling in the 10k gold range on my realm. I have some rank 3 recipes, but even at rank 1 and 2 the majority of the recipes are very profitable as you can see below. The rank 1 recipes are learned from your profession trainer and requires a skill level of 115 in Kul Tiran or Zandalari Blacksmithing. The rank 2 and 3 recipes are obtained for Marks of Honor from your profession Liaision (Ozgrom Ragefang for the horde and Leedan Gustaf for the Alliance). Rank 2 recipes cost 2 marks and rank 3s cost 4 so you need a total of 66 marks to get all rank 3 recipes. To obtain them in the most efficient manner make sure you do the brawl quest across all your level 120 characters when it is up. Outside of that I haven’t found any shortcuts, so you will just have to queue for random BGs or Arenas. The crafts require Storm Silver Ore, Platinum Ore, Elemental Flux and Expulsom. The flux is a vendor material so just buy it in stacks of 200 as needed. The ratio between storm silver and platinum is between 3 to 1 and 2 to 1 so you will need a lot more Storm Silver than Platinum. As the crafting cost in TSM is based on dbmarket, you should be willing to buy both of the ores up to an average cost of dbmarket. So don’t be afraid to buy above dbmarket if you have to as long as it’s not every time. To get the expulsom needed you will have to do your own scrapping. The most efficient way is to use tailoring. By crafting the Tidespray Linen bracers en masse and scrapping them you will get one expulsom per 6 bracers on average. You get the recipe at level 1 Zandalari crafting so you can use a level 110 character to craft the tailoring bracers if you do not have tailoring. You will need a LOT of expulsom. I strongly suggest getting a scrapping addon to speed up the process. I use Scrap Master which was made by BilisOnyxia of Sniper string fame. 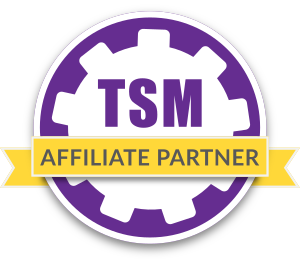 If you have not set a value for your expulsom in TSM you will have to do so for my TSM settings to work as they heavily rely on the crafting source. 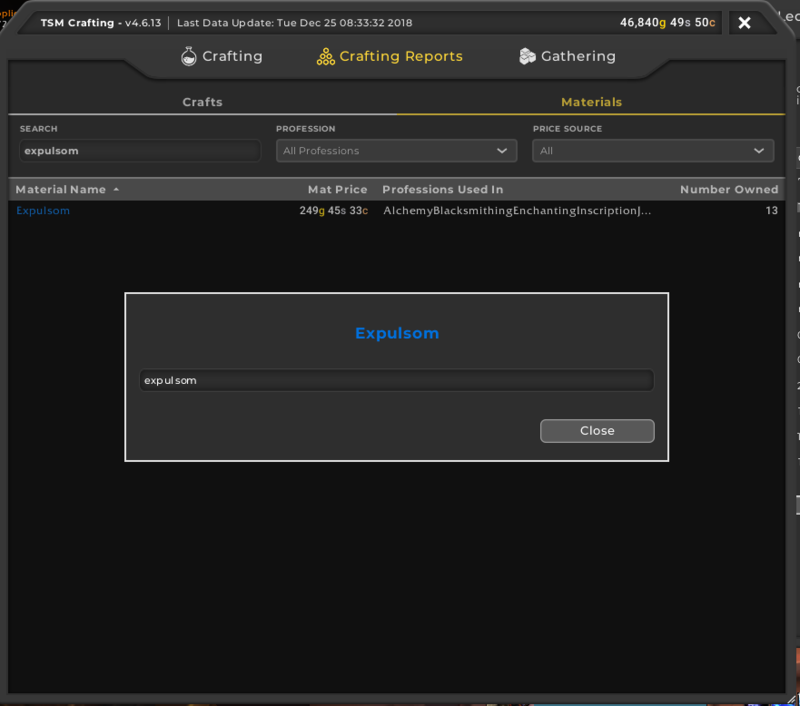 To do so you head to the crafting reports window by typing /tsm crafting. Go to materials and search for expulsom. I use a custom price called expulsom, but you can just paste the string below straight in. It will use the lowest crafting cost of the tailoring bracers or either of the leatherworking bracers to calculate the cost of one expulsom. 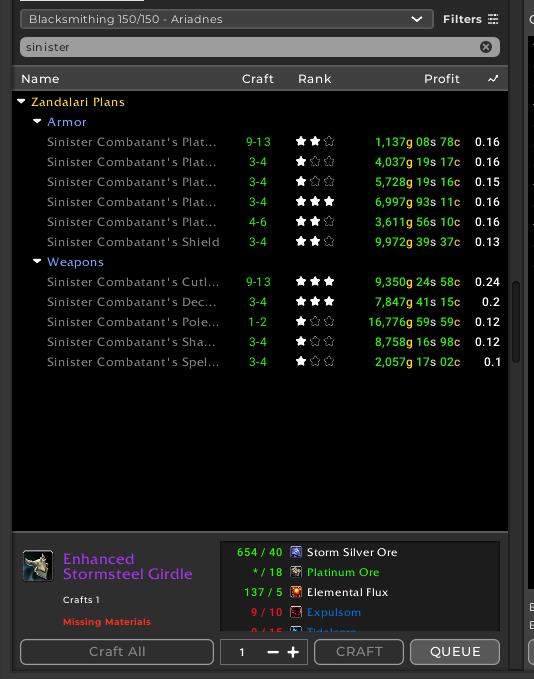 As usual I rely on the same auctioning profession I have utilized throughout the entire expansion to post crafted gear. It will be invalid if you haven’t set a proper price for expulsom, so make sure you get one in. Due to the random proc nature of the items my group will be missing some of the variants and you will have to add them manually. Just go to the group page of TSM and click the sub groups for item level 340 gear. 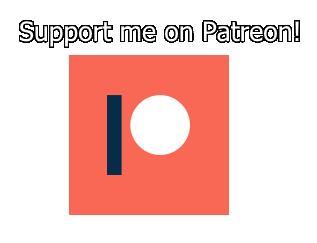 I managed to grab the string by highlighting the line and the image below and hitting copy, and then pasting into notepad. can we use the same expulsom custom price strings as blacksmith profession? Yes, I use the same string all the time.